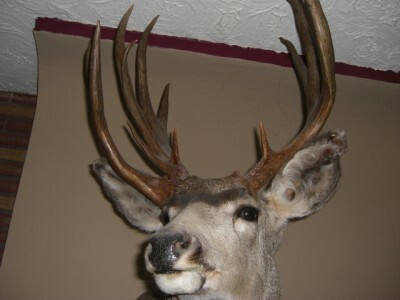 I recently received an email from a buddy of mine, Bob Cole (click HERE to see his “Rock n Roll Ram” story), that contained some pictures of an incredibly unique buck taken from the 270 hunting ditstrict, down the Bitterroot valley. 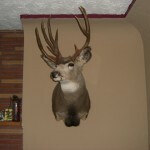 Bob’s friend shot a buck (pictured above) that epitomizes the term “non-typical”. His friend is one of a small group of hunters that has been chosen to receive a 270 antlered mule deer permit. 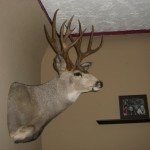 Many hunters believe that the 270 district is home to the top mule deer buck trophies in the state. Drawing a tag for this area, however, is not easy, as, according to the Montana Fish, Wildlife and Parks regulations, there were only 45 permits given for antlered buck mule deer in the 270 district for the 2012 season. These slim odds doesn’t stop me for putting in for a tag every year. Seeing pictures of the muley bucks in this particular area pales in comparison to seeing them in person. What an awesome buck!